It has been really long since a post has been written on this blog. 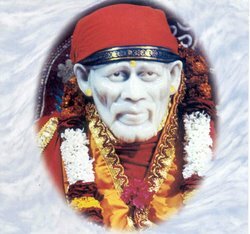 Something cause me to read the Sai SatCharitra for 20 times and have been doing that. It's still on, till now 9 times the parayan has been completed and 10th has been started. It's all due to Sai Baba's grace that this is happening. 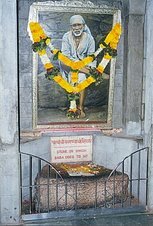 Just received wonderful experinces by a Saibaba devotee and am copy pasting them from my email inbox. She has sent 4 mails and so the experinces will be posted in 4 parts. below is the first mail with experiences. 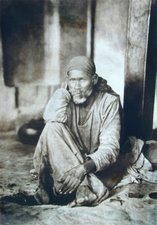 Cool happy vibratins took over my mind and body when i read about her seeing the soil of Shirdi, which also awoke the rememberance of the same, and also about the doubt about devotees experinces in Shri Sai SatCharitra and how the doubt was removed in Sai's way of doing it. Giving her the same experience. This is my first mail to you. i would like to share my experiences . Please display these experiences in your website. Iam not sure whether iam sending it to your right mail id. Please reply am i sending this to the right person. Below are my experiences.i have given 3 sets of experiences. Please put these in your website . 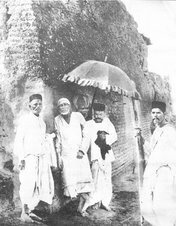 I am very eager to read the sweet moments of experiences of SAIBABA.in 2006, while I was browsing the internet , I was trying to read some experiences of SAI baktas.That was the year I touched soil of shirdi. After reading some of the experiences, I thought that I should also share some of my moments , But later for some reason, I dint post my experience even that thought remain in my mind, Now , this is 2008 , Thanks to Baba that I found this site! 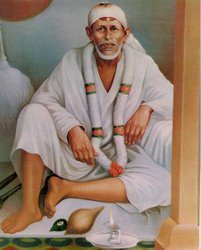 and now again while reading some of the experiences of sai baktas, I really feel sorry that I still dint post the experiences and now I write this for all sai baktas ! I too experienced some of the miracles of baba , which I would like to share … I got a good job in a MNC by the grace of baba. I attended that phone interview on Thursday praying baba that I have to get the job, and while the interview was going on , I was looking at baba's photo and was answering the question ! but I dint answer the questions in the interview well… after the interview was over, I thought I will loose that opportunity of getting the job. later that the moment I cut the call of interview, I really dint ask baba to get me the job. . but I just saw the photo of baba without asking him anything but consoled myself that as per baba's wish let it happen. 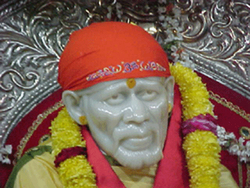 I called my sai devotee (office) friend through phone , I was sharing my happiness that I may go to shirdi as in my home they accepted to send me to mumbai… and she said, it sai's call that u have to go there ..( I felt very much happy) and she reminded me that just a week before I was watching her mail box with photos of shirdi .. I was too happy but then I don't know anybody there in Mumbai... I am the only girl to go there... so I was thinking in my mind that only if I get another girl to accompany me, I would go, otherwise not ! I reached mumbai and there was girl in my own team, so I gave a try asking that shall we go to shirdi , but she doesn't show much interest on the trip and then after two weeks she left the place and come back to chennai. So I thought that is there anyother girl who could accompany me and the days are passing. After a month a girl joined as my roommate , and while some discussion was going on, I came to know that she is also sai devotee.. One day , She was discussing with her team member about the trip to shirdi in office and when we meet on that day night she said their team were talking about their trip. 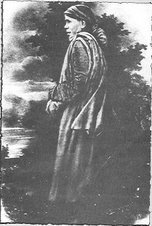 I was very eager to join them and said that if they go, I will join them without fail, and pleased her to accompany me… she said it's not decided fully, it was a plan and may be executed. Then days passed on and there was only one week left out of my 2 and half months period to return to my home place (Chennai). On Friday night while returning from office , I had to wait for bus, there was a stair where I sat and waiting for bus and was talking to baba from my heart that , " Baba , I came here to Mumbai only because I wanted to go to shirdi , if I do not get a chance , how will I reach my hometown back without seeing you , if it is so , for the purpose which I came to Mumbai is not done , Please baba, today is Friday , I really don't know what u will do , I have to touch the shirdi soil on Saturday ( the next day ) or by Sunday morning ". I was keep on thinking and speaking my grief to go to shirdi with baba and the bus came and when I reach my room , a surprise was awaiting for me !!! Now again a wonderful experience is , I have a thought while I was reading satcharita , that , in some adiyaya ( sorry I forgot the chapter number) , the baktas has realized baba in a form of Rama , shiva etc .. 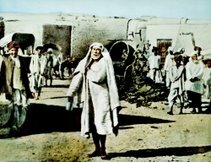 But I used to think in myself that how could it be possible, because in front of them, while their eyes are to the baba's image, how could they see other god's image… Though I have faith in baba. 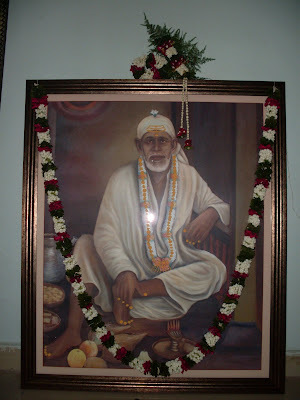 But It was the day I touched shirdi soil, I experienced that moment … We reached shirdi by 5.30 AM. The bus was parked in front of a hotel where there is a idol in front of that hotel. In that early morning, when we get down of the bus, when I saw the idol, I saw Ganesha's idol there, and I turned my face . 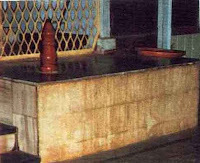 The moment I turned around my face, I was thinking within me that , how come in shirdi , a ganesha's idol would be , why not BABA's idol , and again I turned my head to see the idol, I saw SAIBABA's idol there…. I really don't know what made me to see the idol again after I turned around my head !!!! This was my great, wonderful experience , I ever had and I never forget until my life… sirdi satchidhananda satguru sainath maharaj ki jai . thanks to u and the sai devotee for this blog entry. hope the other 3 stories of this sai devotee would be uploaded soon as i am eagerly waiting for them.